All those years of education didn’t help this pilot’s need to make everything as complicated as possible. 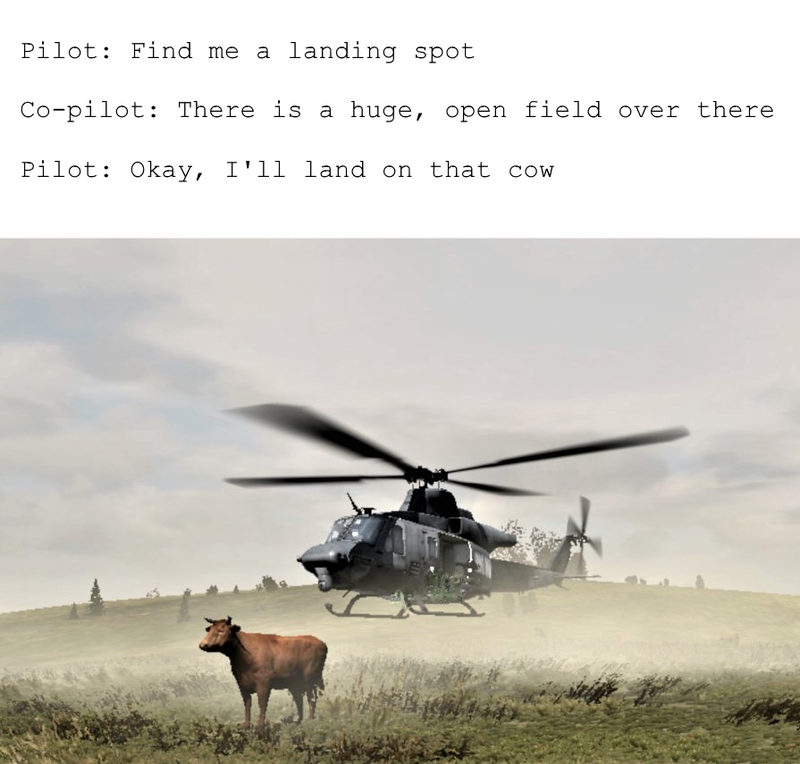 The local, adamant cow did not agree with the pilot’s decision. He was there first, so it was clearly his. Moove? The hell I will.